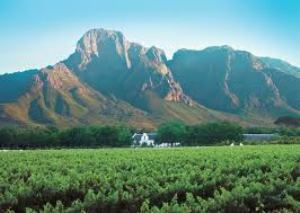 A day spent exploring the historical wine region of Stellenbosch. Wine making from vineyard to bottle. Wine tasting, cellar tours and cheese tasting. Pick-up between 8 am to 9 am drop-off by 1 pm. Pick-up between 1 pm and 2 pm drop-off by 5:30 pm. Drive through Paarl and view Victor Vester - Nelson Mandela's former prison. Second wine tasting on a wine estate. 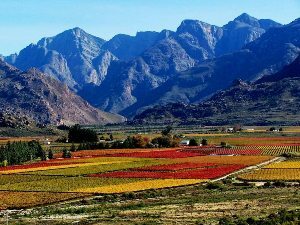 Visit the historic village of Franschoek and Hugenot memorial (optional). Third wine tasting at a Franschoek vineyard. Optional picnic on the wine farm. Pick-up 8 am to 9 am drop-off 5:30 pm. All of the above are with registered and experienced tour guides and in air-conditioned mini busses. 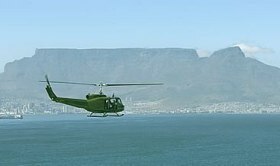 Flighy from the V & A Waterfront, 2 hour lunch and flight back.